Our clients can avail from us a wide range of Knife Holder Assemblies that acts as an adapter to Top Cutters. These are available in different sizes to suit various locking arrangements. Manufactured using SAE 52100 / AISI - D2 material, our range is also available in H.S.S. 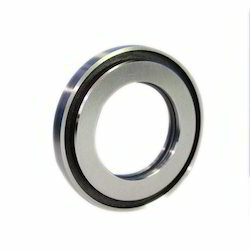 further, we also offer our range with Ball Bearing Type self-locking arrangement. Owing to the vast industry experience of this domain, we are offering a huge collection of high-quality Multiple Slitting Knife Blocks to our valued clients. Furthermore, we offer these Multiple Bottom Shear Slitting Knife Blocks to our patrons in numerous sizes. Our company has created a niche in the field of offering Multiple Bottom Knives. Owing to the vast industry experience of this domain, we are offering a huge collection of high -quality Multiple Slitting Knife Block To uor vallued Clients. 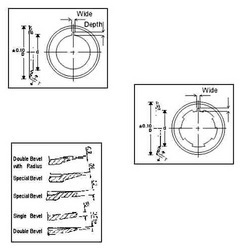 The multiple bottom knives for Paper slitting available in required sizes as per customer requirement up to desired diameter with standard tooth pitches as well as fine tooth pitches. Knives are available with single cutting edge and double cutting edges.